Instead of taking a whole bar of soap to the shower in our Privacy Shelter or having to hold it the whole time because putting the soap on the ground just seems unsanitary. Just use a vegetable peeler to get little soap leaves. Then, just take one leaf with you and lather up until the leaf disintegrates! You won’t have to worry about losing the soap or getting the soap dirty. You don’t need to lug around the whole bag of charcoal when you go camping. That can be exhausting and space consuming. 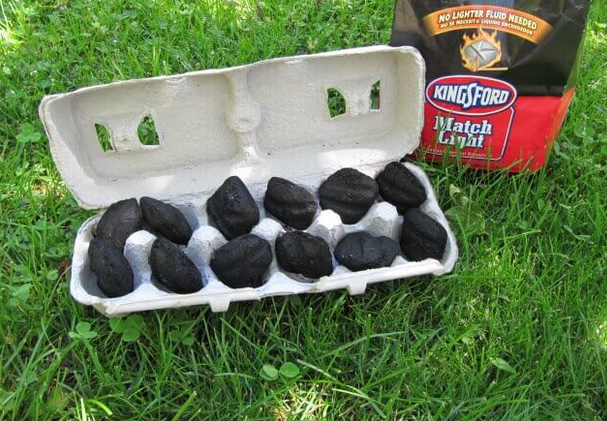 Instead, put charcoal in an empty egg container. You just need to light the carton on fire and the coal will catch fire, as well. The egg carton is a lot easier to catch on fire than the actual coal. Finding a tick on yourself or someone else is a nightmare. Fight the problem before it starts. Make a homemade tick repellent by mixing one-part tea tree oil with two-parts water. Then, spray the mixture onto your shoes, socks, pant cuffs or anywhere else these critters crawl. If you do not have a Kwik Set Pantry to organize your pots and pans, keep them organized by tying a belt around a tree. Then, put S hooks over the top of the belt and hang your pans from them. It saves table space and also keeps things a lot more organized. A super clever idea is a do-it-yourself toilet paper holder! 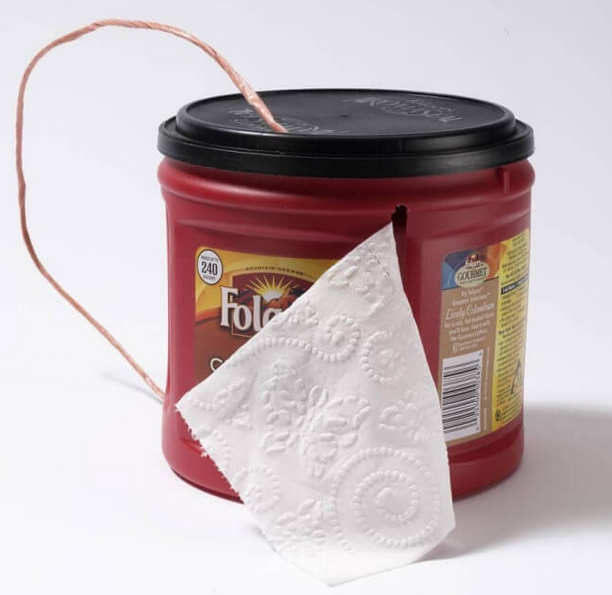 Take an empty coffee can, cut a slit into the side and put the toilet paper inside. From there, slide the toilet paper through the slit and you’ve got a portable toilet paper holder. No more dirt on your toilet paper while you’re trying to get clean. You don’t need to fill your Kamp-Rite Kooler with loose ice, just for it to melt and be useless later down the road. Instead, fill gallon jugs or bottles with water and freeze them before you leave. Then, put them in the Kooler. They’ll act as ice to keep your food cold while also becoming drinkable water as they thaw. Carrying matches around will be useless if they get damp or wet. 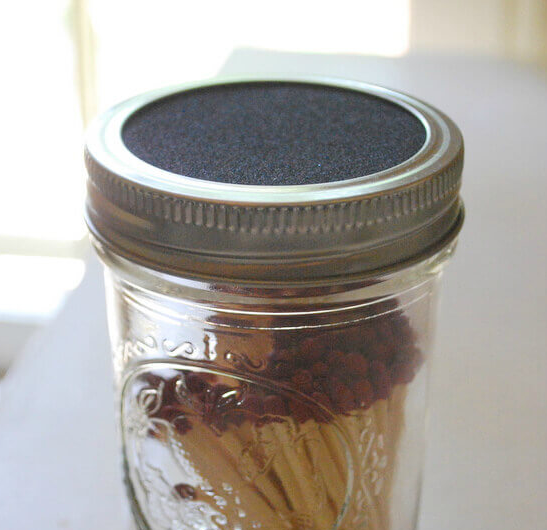 Take the matches out of their normal container and put them in a waterproof container or jar. To make things easier, tape or attach some sandpaper to the container so that, when you need to light the match use the sandpaper as your ignition. You can use a lanyard to put bottles of shampoo, conditioner and body wash around your neck that you can take with you when you hop in our Privacy Shelter for a shower! It keeps it all in one place so it’s easy to find. 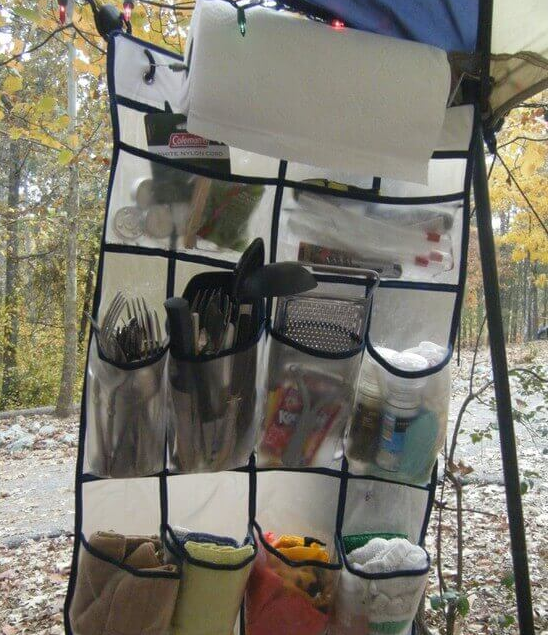 Use a shower caddy to store all of your cooking utensils while you camp. This could be used to store a variety of other things, too. Don’t dig around in plastic bins looking for your utensils anymore!